Now offering sessions to celebrate your pet’s big milestones! Book your session here or e-mail Jennifer@fixyourimages.com for more information. The Dog Birthday/Cake Smash Photo Session is up to 30 minutes of time for one dog. Includes 5 digital high resolution images, a homemade cake with dog friendly ingredients, balloons and this setup. This special is offered in the wooded lot of our home in Olathe on weeknights from 6-7pm during the golden hour or select weekends. PLEASE NOTE: This session is for one pup’s birthday only. For multiple pets, a full custom session is the best option. 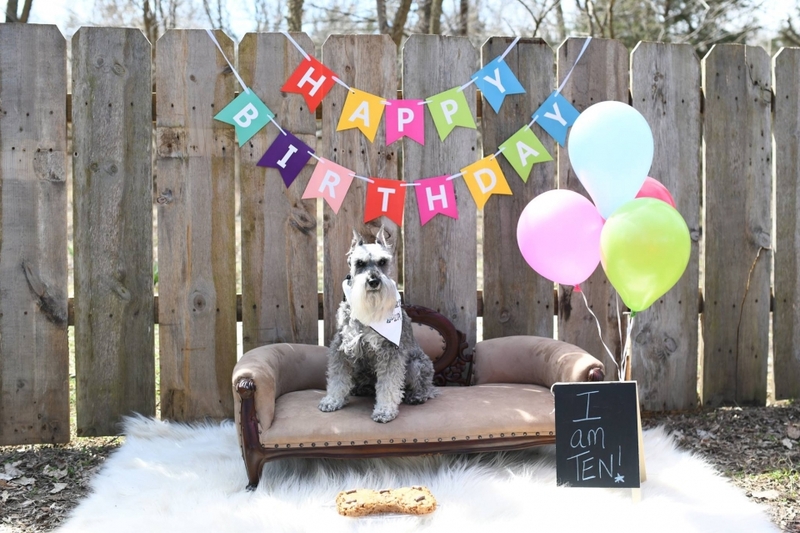 This session is the best option to celebrate your dog’s birthday.